Iowa Senator Joni Ernst says the quick turn to a discussion of illegal immigration in the death of Mollie Tibbetts is not politicizing the issue. The Republican from Red Oak says Tibbetts was missing for more than a month before a man who is in the country illegally was accused of killing her — and that naturally brought the spotlight to the issue. “We do need to see some sort of reform. This is an issue I have been pushing — especially when it comes to Sarah’s law — for the past two years,” Ernst says. Sarah’s law involves another Iowa woman who was killed by a drunk driver who was in the country illegally and released after his arrest. Ernst says we need to honor Mollie Tibbetts and need to look at all the issues that led to her death. “It is an illegal immigration issue? Is it a stalking issue, what are the issues that need to be addressed out there. And we need to focus on those different issues and find a way forward,” according to Ernst. 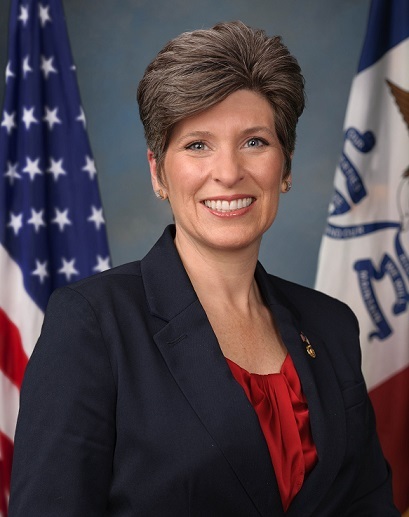 Ernst says a guest on an MSNBC show who was critical of the publicity in the case for “Some girl from Iowa,” was wrong to call it a political issue. “And I think how disrespectful for Mollie and for her family, know that this young woman will never graduate from the University of Iowa. She will never walk down the aisle with her father to marry her sweatheart. She will never know the joys of having a daughter or her own — because whatever went wrong in our system, allowed for this beautiful young woman to be killed,” Ernst says. Ernst says finding a real fix for the immigration system would benefit those in the agriculture and other industries who need more workers.